It can be challenging to keep track of elderly parents on a regular basis, especially if you have to work or need to be away for a little while. Their tendency to forget, limited mobility, health issues, and other such factors are truly a cause for concern. Even if they have a caregiver, you want to make sure that they are truly in good hands. Consider looking into elderly monitoring devices with a GPS tracking system—such as Senior Safety App. This technology lets you monitor your loved ones no matter where you are. When choosing a monitoring device, ease of use is the first thing to look into. You want a device that seniors will find straightforward and user-friendly. Smartphones with an elderly GPS tracker and alert system app can be a great option. Senior Safety App is proven for its reliability in helping seniors alert their caregivers about certain incidents. It can track falls, too, and can alert you or the caregiver when the user needs help. It can be configured at low, medium, or high sensitivity, depending on the lifestyle of the elderly user, so false alerts are minimized. A good GPS elderly monitoring system such as Senior Safety App provides geo-fence alerts with location monitoring so you know exactly whenever your elderly relative leaves a particular location, where they go, and which routes they take. This elderly GPS tracker can even monitor any signs of lengthy inactivity so you can determine if your relative needs help and come to their rescue right away. It is considered one of the best elderly monitoring devices these days, as it can likewise alert you when the smartphone needs to be charged. It even provides you with information on which apps your senior loved one is using. This is a great way to protect seniors from scams and potentially dangerous situations. 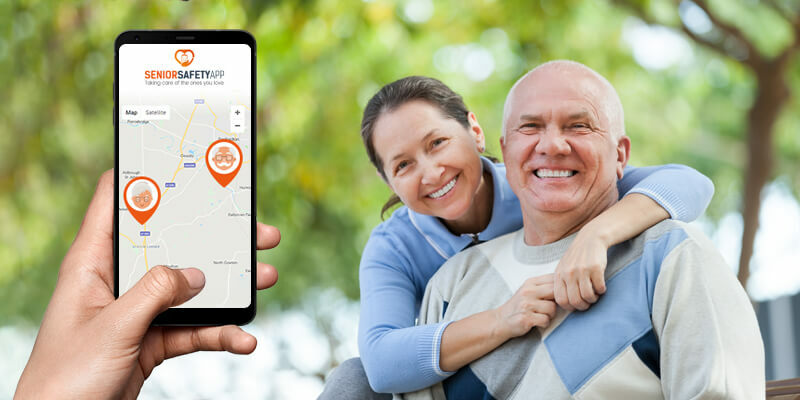 The main advantage of using an elderly GPS tracker like Senior Safety App is that it allows you to monitor the location of your elderly family through a convenient tracking system that works round-the-clock. You can easily access it through your smartphone as an app; that way, you can take it with you anywhere you need to be. Install it, set up the emergency contacts, alerts, and reporting, and it will be good to go. The tracker will send you alerts and reports as necessary while enabling you to review device data and live location. Senior Safety App also allows online access through a control panel and 24/7 tracking with a cloud console.